Welcome to a new feature of the Classic Las Vegas Blog: Lost Vegas. This is where we will share our history, stories, memories and imagery of Las Vegas places no longer there, of places that live on fondly in our memories for what they once meant to us before Las Vegas became a metropolis with an eye firmly focused on the future and not always eager to embrace its past. Today, we look at that wonderful restaurant The Green Shack, where many generations of Las Vegans enjoyed a fried chicken dinner surrounded by their friends and neighbors. "Jimmie" Jones and friend outside the Colorado Restaurant before it became the Green Shack. 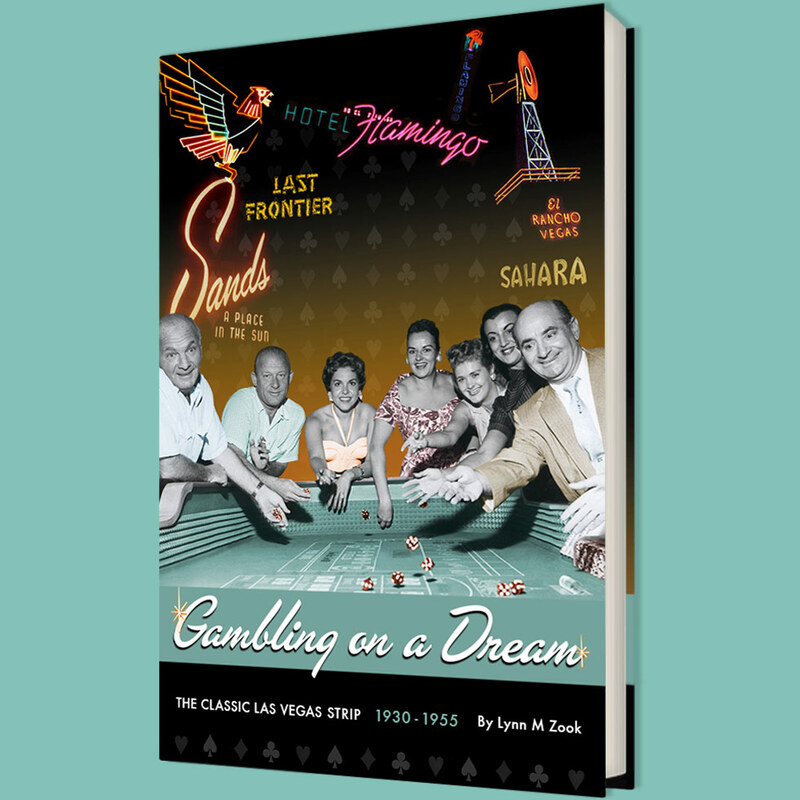 In 1928, the newly widowed Mattie Jones landed in the small town of Las Vegas. On New Year's Eve, so the story goes (and beloved buildings in Lost Vegas always have good stories), Mattie (who liked to be called Jimmie) opened the Colorado Restaurant. The restaurant was located in her two room home on a stretch of road that was soon to become Boulder Highway. The Colorado, pictured above, was across the road from where the Green Shack would be built. From a window, she sold orders of fried chicken and bootleg whiskey. Though the Colorado was considered the far end of town along a dirt road that ultimately led down to the Colorado River (if you were up for making that long trek), Jimmie Jones did a good business. She was not the only establishment selling bootleg whiskey on the outskirts of town but her customers mainly came back for the fried chicken, which they washed down with their bootleg hooch. In August, 1931, the paving of the dirt highway was completed in anticipation of the construction of Boulder Dam. With more traffic on the highway, business boomed for Jimmie Jones and the Colorado. Sometime between 1930 and the end of 1931, Jimmie Jones bought an old green, barracks style building from either the Union Pacific Railroad (according to her family) or the Land and Water Company (other reports) and had the building moved out to Boulder Highway but just inside the city limits, not far from the Colorado. Soon after she closed the Colorado and opened the sit down restaurant and bar that would become a part of Las Vegas history the Green Shack. With the repeal of prohibition in 1933, the Green Shack began selling liquor legally. Thanks to the dam workers and the repeal of Prohibition, business boomed and Jones and her new nephew, Frank McCormick, was asked to handle the bar. Family lore has it that Jimmie Jones received the first Liquor license after the repeal of Prohibition. Jimmie Jones knew how to cook and the menu of the Green Shack expanded. It became popular with families. Many of the waitresses married local boys and became part of the community. The warmth of the place with its large chairs and fireplaces made many feel right at home and the staff and Jones were well known throughout the community. For a community that prided itself on its western roots, the Shack fit right in. There was a hitching post where riders could tie up their horses, come in for a drink or food and know that their horse would still be there when they came out. In the lounge/bar area, there were small gaming tables and a spirited lounge act offering entertainment. Western star, Hoot Gibson, who owned a divorcee ranch on the other side of town was a frequent visitor. The Green Shack staff participated in Helldorado, the annual western celebration that transformed Las Vegas into an old western town each May, often pulling a wagon filled with the waitresses waving to the crowd. A favorite hang-out of city politicians as well as the working man, the Shack. Members of the legal fraternity that frequented the Shack include a one who became Lt. Governor, another who became a Nevada Supreme Court Justice, and one became the U.S. Attorney for Nevada during the crack down on the mob in the late 1970s/early 1980s. The Green Shack as many of us remember it. Jimmie Jones hired a friend and continued to do most of the cooking until her death in 1967. Her nephew, Frank McCormick, died three months after her. Frank's wife, Elaine, took over managing the business. Between 1980 and 1985, the business was sold, reclaimed, leased, reclaimed and then closed. In 1985, James McCormick, son of Frank and Elaine, opened the restaurant back up. Old-time Las Vegans who remembered the Shack fondly returned to help keep the business going. But, it was not enough. Las Vegas was no longer the small town it had been and downtown Las Vegas and Fremont Street were no longer the center of town. Drivers now could take the freeway to Henderson or the Dam and didn't need to travel along Boulder Highway. The Shack closed for good in 1999. The green barracks building that had been such a staple of Las Vegas life was boarded up and got caught in a struggle between preservationists and the economic development. According to an article in the Las Vegas Mercury (an alt weekly, that like the Shack is no longer with us,), Hector Sedano wanted to raze the structure to build a wedding and banquet hall that would cater to the Hispanic community. But historic preservation officials felt he was jumping the gun; they wanted to see the building, which was placed on the National Register of Historic Places in 1994, at least incorporated into the new business. Votes didn't go their way and the Shack ultimately had a date with bulldozer and was torn down. Photos courtesy of James and Barbara McCormick, Classic Las Vegas Collection and As We Knew It. Hit the comments and share with us your memories of the Green Shack! And subscribe to our RSS feed, or join us on Facebook so you can join us for the next installment of Lost Vegas!